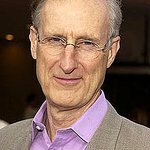 In December 2015, actor and environmentalist James Cromwell and five other activists were arrested for chaining themselves together to block the entrance of a power plant construction site in Wawayanda, New York, which lasted for almost a half hour. Instead of paying a fine for the offence, Cromwell chose a seven-day jail sentence, which began July 14, 2017, in the hopes of bringing more attention to the matter. In an interview with Democracy Now Cromwell says his opposition to the power plant is that it will use fracked gas coming from Pennsylvania, while the electricity that it would produce is not even needed. The plant would only exist to provide profits to its owners (Mitsubishi, GE and Credit Suisse), while the ultrafine particulate matter coming from its smokestacks will pollute New York City’s air. Furthermore, if the plant is built, Cromwell foresees 300 more such plants that the corporations have in mind to build, because there would be no justification not to. Despite that New York’s Governor Cuomo has banned fracking due to its negative health impacts, he did approve the power plant that will depend on thousands of new out-of-state fracking wells over its lifetime. “We believe this [construction] needs to be stopped,” says Cromwell, "if you want to stop the entire build-out of the hydrofracking infrastructure and its effect on our environment.